Jose Mourinho insists referee Robert Madley did not give Chelsea one decision against Southampton. Chelsea manager Jose Mourinho is anticipating a Football Association summons after Saturday’s loss to Southampton, whether he is sacked or not. Mourinho expects to be sanctioned after criticising referee Robert Madley following Saturday’s 3-1 defeat, which left the Blues 16th in the Premier League with four losses in eight games. Chelsea were champions last season and the sharp decline has led to the inevitable speculation that Mourinho will be sacked by an owner with a reputation for firing managers. Chelsea owner Roman Abramovich was at Stamford Bridge for the capitulation, with Mourinho believing the result might have been different had Radamel Falcao been awarded a penalty, rather than booked for diving. 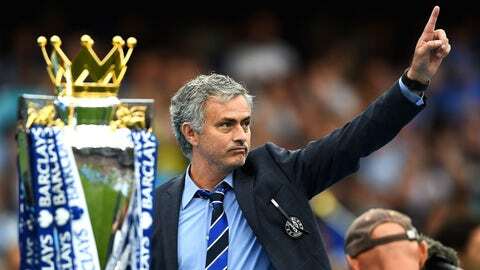 "I think it’s time for people to be honest and say that I’m right," Mourinho told Chelsea TV. "Maybe I’m going to be punished but I have to say it, because my players and the supporters deserve me to say it… we don’t get one decision from the referees. One. "We lost in Porto with a big penalty in the last minute in the face of two officials. "We had a big penalty that the referee should be here, speaking to you, explaining why he did not give the penalty. A crucial penalty. "They don’t give. Never. They are afraid to give. We were punished by that." 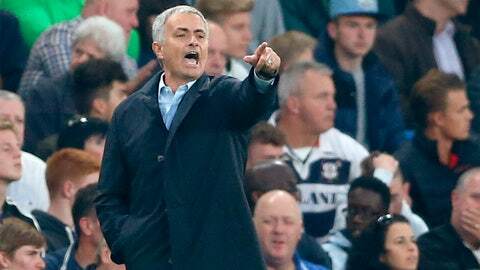 The FA will likely wait till Monday, at the earliest, to decide whether to act on Mourinho’s comments. Southampton were excellent as Steven Davis cancelled out Willian’s opener before Sadio Mane and Graziano Pelle struck. Mourinho believes his team is "very fragile" and crumbles like a "castle of cards". He said: "The team emotionally is very fragile. The team is feeling too much the pressure of the bad results, the negativity, the fact every time you make a mistake you are normally punished. "When we make individual mistakes the team is like a castle of cards that collapses, because mentally the team is in trouble. "The confidence levels are very low and the team is feeling that a lot." Mourinho was apologetic that he cannot play for Chelsea himself and admitted he is uncertain about the reasons behind Chelsea’s downward slide. He added: "I’m so sorry that I don’t have a game tomorrow. I’m so sorry that I am too old to play and I have no quality to play in a team like Chelsea. "I am so, so sorry because I would love to play. I don’t know what is good or bad for them in this moment." John Terry says Chelsea’s underperforming players remain united behind Mourinho. Terry started for the second time in six matches but the now familiar defensive failings were all too evident, leading to speculation Mourinho might be sacked, like many of his predecessors. The Blues boss has repeatedly denied fractures in relationships within the squad, particularly with Terry, who has now publicly spoken of his support for Mourinho. "We have a big group of players and we have the best manager who we remain behind and we remain together," Terry told chelseafc.com. "That is what you do in tough circumstances. I have been here a long time and I have seen managers come and go and if anyone is going to get us out of this hole it is going to be Jose Mourinho. "And the players will remain together and fight, and keep fighting for the supporters because they were excellent on Saturday." Chelsea paraded the title and the Capital One Cup through west London just five months ago and the speed of the decline is alarming. Terry reckons a lack of confidence is a major factor, but maintains there will be a response from the players. "We are not in the familiar position we are normally in," the 34-year-old added. Who was the best Premier League coach during the 2014-15 season? "We find ourselves in it and it is down to the group of players and the manager to get ourselves out of it and we must do that very soon. "Generally I think we are looking low on confidence but we have a big group of players in that dressing room and we need to stand up, which we will do. There is no difference from last season. "We need to be hungry like we were. Like many teams find, it is difficult to come back after winning the Premier League, we have seen it with Man City. "We are suffering a bit of late but we have big characters in the dressing room and we will remain together along with the manager and get ourselves out of this." Chelsea resume after the international break at home against Aston Villa on October 17. "Once you can get one win you build on that," Terry added. 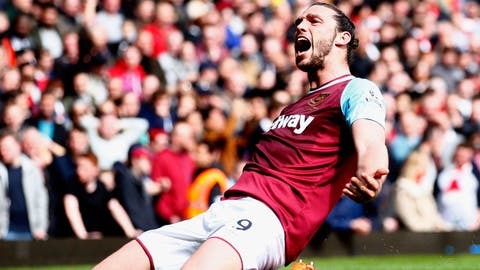 "We must win at home to Aston Villa after the international break, which is maybe a good opportunity for players to go away and clear their heads and come back after that and really kick on, because we need to start winning football matches."